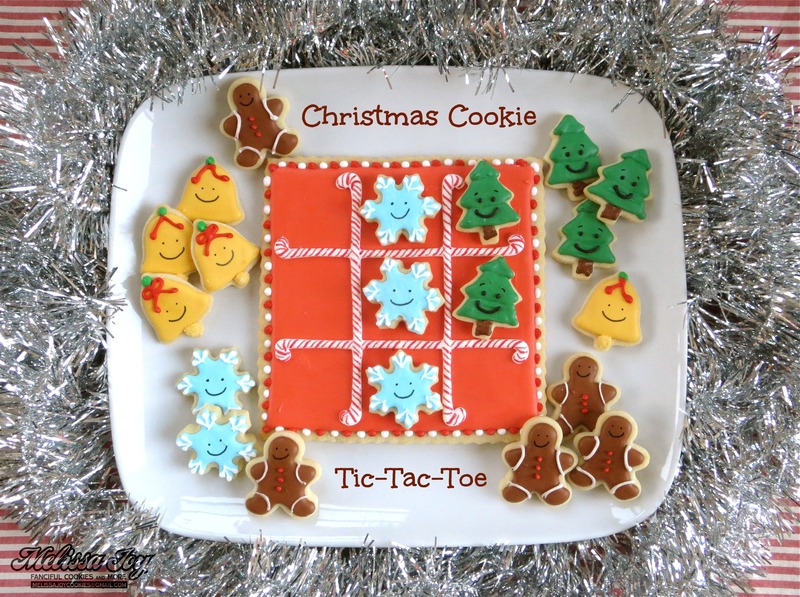 I’ve had a wee addiction with cookie Tic-Tac-Toe since I crafted a Halloween version this past October. There are just so many possibilities by varying the themes! I made this Fall one too and now my youngest sort of expects one to come out of the oven with each season. It is my aim to please. The Tic-Tac-Toe board is HUGE and measures 6 inches square. It’s should to be big enough for the size of the playing pieces, so double check with those you plan to use. I cut out the board using a ruler (OCD) and my scalloped pastry cutter. EASY! As much as the minis are tedious to frost, they sure are cute once finished, especially with a little face. They are also quite addicting to eat, so it’s a good thing you have to pace yourself when playing. 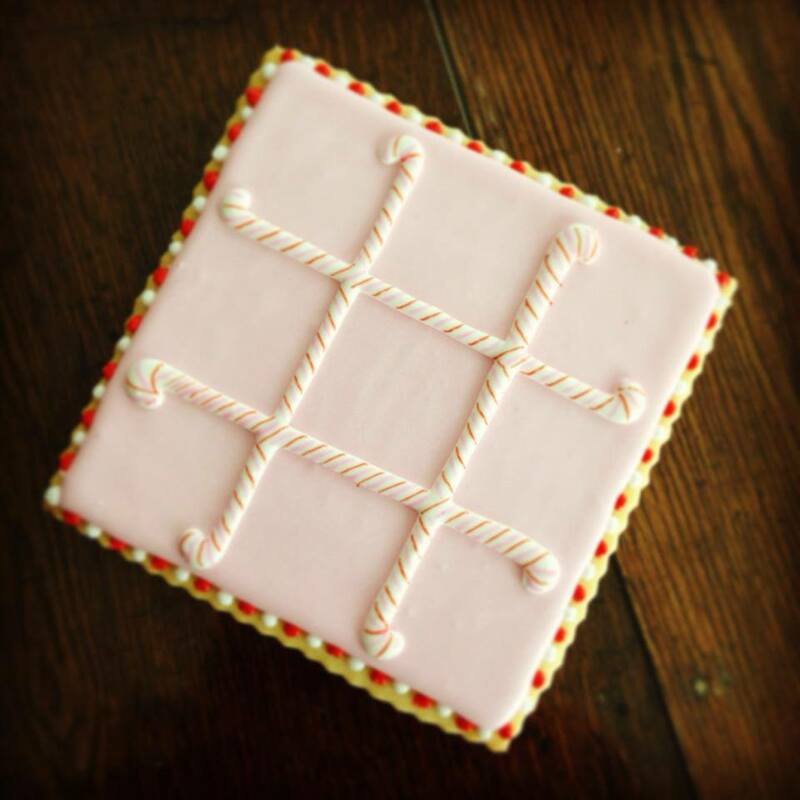 No cookie pieces means no more Tic-Tac-Toe game. At least make sure you get a few good rounds in before you devour them all. I guess the reward, whether win or loss, will be just as sweet! 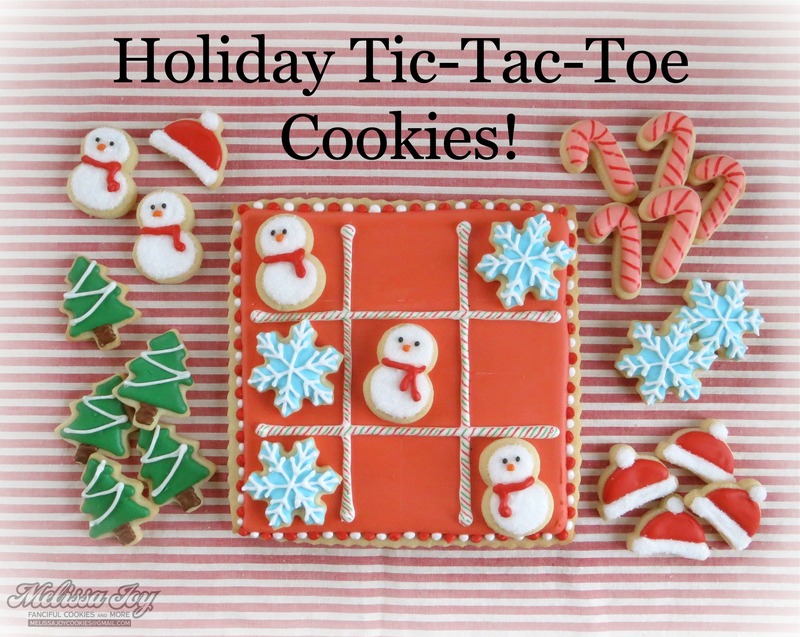 This entry was posted in Christmas Cookies, Cookies for Kids, For Fun Cookies, Holiday Cookies and tagged candy cane cookies, christmas bells, christmas cookies, gingerbread men, mini cookies, snowflake cookies, snowman cookies, Tic Tac Toe. Bookmark the permalink. Those are so cute! I’d imagine that they are a bit tedious to make but the eating part…not so tedious! 😉 Wonderful work as always! Thanks Miss! Merry Holidays to YOU! So so cute!! Where did you get those tiny cutters?! Adorable doesn’t even begin to describe these! Thanks a bunch! In all honesty, these are my least favorite of the three I’ve done. Next up, Valentine’s Day! Oh. My. Goodness. These could NOT be cuter!! These are just so adorable! 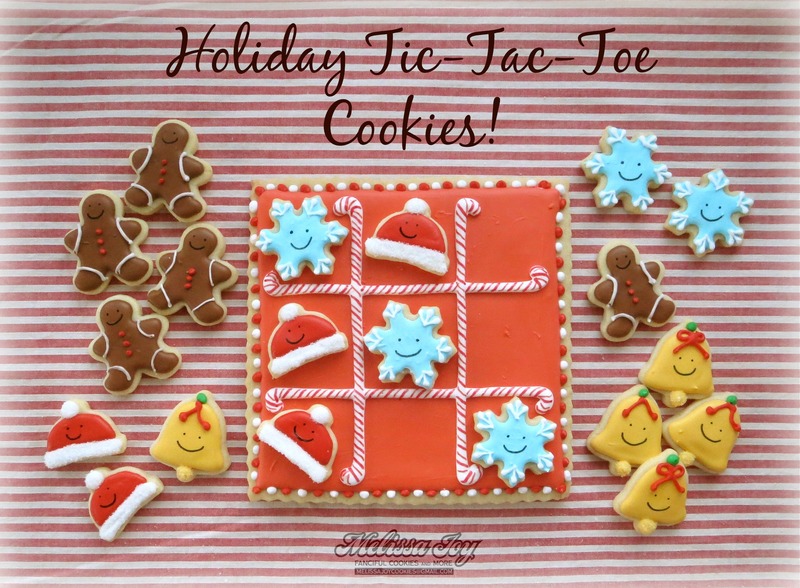 I love your tic tac toe sets!